The councilor representing Okerenkoko ward, Gbaramatu Kingdom in Warri South West Local Government Area of Delta State, Hon. Ebi Adam, has donated drugs, medical equipment amongst other items to Okerenkoko secondary school and health center. Accompanying her on the visit yesterday (October 23, 2018) are Hon. Chris Omula and Hon. Lucky Ari, both councillors in Warri South West. 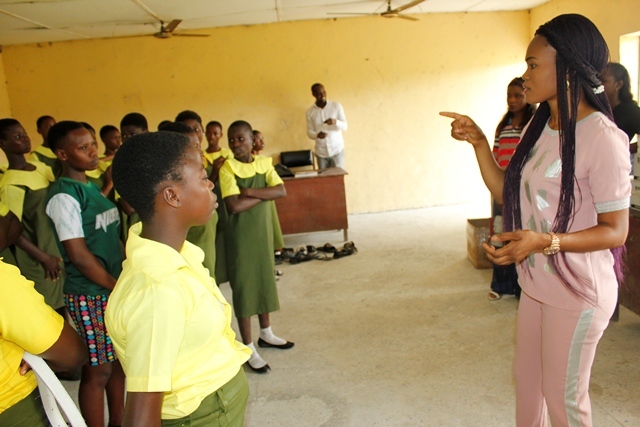 Adams first went to the Okerenkoko secondary school and had a brief discussion with the female students, encouraging them to avoid distractions from their lives and ensure they take their studies seriously so that they can achieve success in life. She thereafter gave some gift items to the students assuring them that she would always be available to them in times of need. Arriving at the health center, Adams presented drugs and medical equipment to the Chief Matron of the health center, Mrs. Akpomudje Christiana. While expressing her gratitude, Mrs Akpomudje commended the councilor for having a character worthy of emulation. In her words: “It is a very wonderful thing she did; this will go a long way for the community. By this it will make the community people to be happy that yes, they have someone who is from the community and equally representing them effectively. “To other officials holding political offices, I would say to them to emulate her. You can see the place and the medical equipment and drugs she brought. It is a very good thing, I think others should emulate and even do better,” she added. 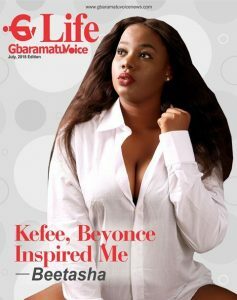 Speaking with GbaramatuVoice, Hon. Ebi Adams said her visit to Okerenkoko community, the constituency she represents, is for her to give back to the people. In her words, “first of all, we went to the school to talk to the female students and distribute some items for personal use and then went further to the health center to see the nurse on duty and she was on ground to welcome us. She further added that her demonstration was in partnership with the Okowa/Otuaro Smart Agenda for health and that it was going to be a period where people that have malaria and other related illness can come to the health center and would be attended to without any complain of unavailability of drugs.